Upgrade the looks of your Grand Cherokee with these front door scuff plates that are the same ones used as original equipment on the Limited and Overland models. Instead of the plastic scuff plate on the Laredo, these have a brushed aluminum insert. They're an easy replacement for worn or scratched scuff plates and will improve the looks of your Jeep. Be sure to select the appropriate interior color. These scuff plates are sold as a pair for the front doors. Scuff Plates are sold as a pair, for the front doors. Item was exactly what I needed and at such a great price over the dealership. 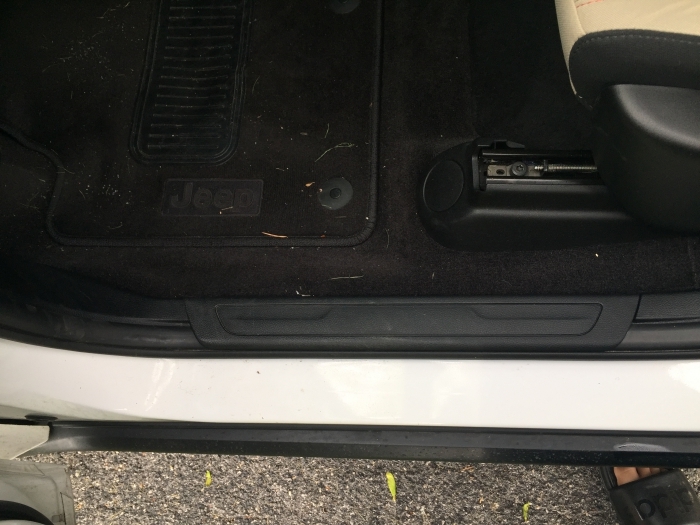 I was installing illuminated door sills on my Jeep GC but had the complete plastic scuff plate. I had to buy this to remove the aluminum inlay. It was exactly what I wanted and needed to add them to my car. Would definitely recommend to anyone looking to buy these. I had to purchase this item in order to be able to install the illuminated version. This is not the seller's fault. My Grand Cherokee Laredo Altitude required this. The product arrived promptly, in excellent condition, and well packaged. I recommend this to anyone looking to up the look of their Grand Cherokee. Was looking for a slight style upgrade to the interior of the car and this did the trick. Not to flashy but much better then the straight black plastic ones that come with the vehicle. Very easy to install and looks great. 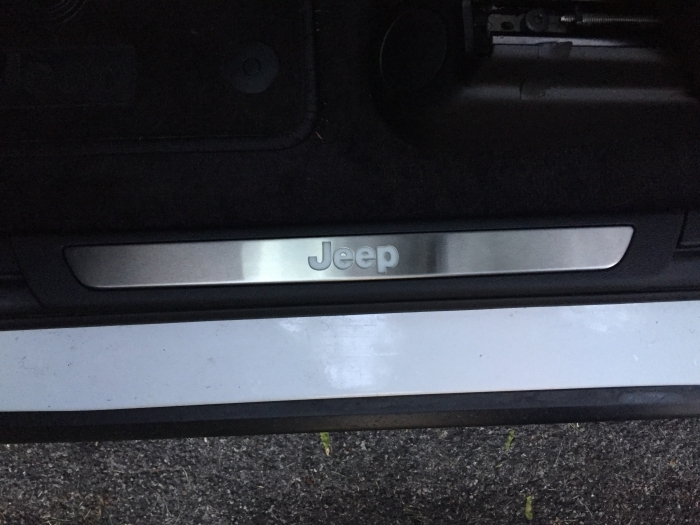 I just bought a 2014 jeep grand cherokee and wanted to put some extras on my jeep and the scuff plates make a big difference. I would recommend just for jeeps. Switched out the plain black ones on my 2014 Grand Cherokee with these and they look great. Easy to change. The stainless plates get scuffed after awhile, so these OEM replacements will restore door sills to look new again. Very easy "clip off - clip on" replacement. These really accent the entry to the vehicle and add some class to the cabin.